In 2014, Liquid Telecom announced plans to connect the 47 counties in Kenya with fiber optic at a cost of Kshs. 4.4 Billion. The company further unveiled an ambitious plan seeking to invest Kshs. 8.5 Billion into establishing a fiber optic network along the Lamu Port-Southern Sudan-Ethiopia Transport Corridor (Lapsset) routes. 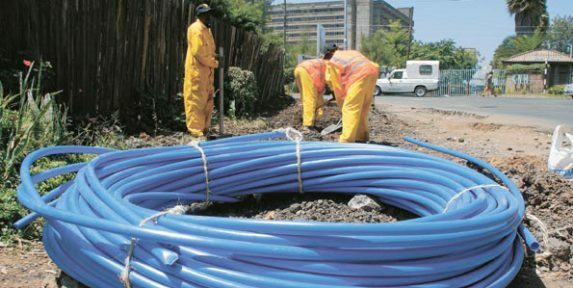 In February, Liquid announced it had managed to connect 39 of the 47 following the completion of a 21 kilometer fibre network in the Garissa County. The county has now added one more county with the completion of fibre network in Homa Bay county at a cost of Kshs. 123 Million. The connection also includes a 15km, point-to-point network connecting the Homa Bay County government and corporate organizations with some 20 corporate customers including Post Bank and Barclays Bank already connected. The county government says it plans to use the internet to roll-out e-government services as well as update and store population data online. The project marked the first phase of the project, in which the county headquarters and 10 county ministries were connected to the Internet. The second phase of the project will connect eight sub-counties and forty ward offices within the County. Liquid Telecom recently announced plans to offer free wifi hotspots to allow more users to access the internet with Kshs. 100 Million earmarked for this project. There are currently 200 existing free hotspots in Nairobi,Nakuru, Mombasa, Kisumu, Eldoret, Kajiado, and Nyeri with plans to roll out to other counties.